In the 2018 tax season, I was really frustrated. There I was, sitting at my computer, with a stack of client tax documents whose data I needed to enter using my professional-grade tax software. I was entering the information from a client's W-2 and reached box 14. That's where the employer's payroll service puts in all manner of "other" information. This particular W-2 had a numerical figure next to the letters RSU. I knew RSU meant restricted stock units but, for the life of me, I could not remember how to get that RSU information from the W-2 onto the tax return. 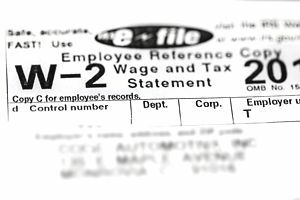 Do I need to enter something in the W-2 section of my tax program? Do I need to enter this information somewhere else on the tax return? I researched the treatment of RSUs and Box 14 and below are my findings. They should help you if you face a similar problem. The Amount Stated in Box 14 for RSUs Is Already Included in Box 1 Wages. For example, if we have $234,567 reported in Box 1 as wages and $12,345 reported in Box 14 labeled as RSUs, then the $12,345 is already included in the $234,567 amount. The restricted stock vests and thus becomes unrestricted. In this case, the fair market value of the stock at the time of vesting (less any cost to purchase the restricted stock) is the amount of income included in the employee's wages. The restricted stock is transferred to the employee, and the employee makes an 83(b) election. In this case, the fair market value of the stock at the time the restricted stock is transferred (less any cost to purchase the restricted stock) is included in the employee's wages. Basis in restricted stock is the amount paid for the stock plus the amount included as taxable income. This basis information will be useful when the shares are sold. At that time, we will calculate the gain or loss on the investment by subtracting the basis from the sales proceeds. Restricted stock and RSUs are subject to federal and state income tax, to Social Security and Medicare taxes (FICA), and any other payroll-related taxes. This can pose a challenge because the restricted stock is a cashless transfer of value. The employer transfers stock shares to the employee. A restriction is placed on the stock so that the employee cannot sell or transfer that stock until sometime in the future when the stock vests. The value of that restricted stock is included in the employee's income (either at the time when the shares vest or, if an 83(b) election is made, at the time of the transfer). So far, no cash has changed hands. However, the value of restricted shares is subject to withholding, and the withholding must be in cash. Thus, the withholding is going to come from other sources—most likely from the employee's regular pay. There is another potential withholding pitfall. The employer could include the restricted stock income with the regular pay for the pay period. This causes a higher percentage of the employee's pay to be deducted for tax withholding, and it might result in the employee being over-withheld. Alternatively, the employer could include the restricted stock income as a bonus or supplemental pay period. In this case, it is possible that the employee could be under-withheld. Employers withhold at a flat rate of 22% on the first $1 million of supplemental wages paid out during the calendar year. After that threshold is reached (that is, once supplemental wages for the year exceeds $1 million), employers withhold at a flat rate of 37%. Using our example from above. Our client has $234,567 of total wages for the year—which puts our client in the 33% or 35% tax bracket for the year, depending on their filing status. By definition, this employee will be under-withheld if the employer is withholding only 22% for federal tax. The employee will need to make up the difference through estimated taxes if they want to avoid owing come April. If taxes are not estimated, the employee might want to adjust their withholding to have more taxes taken out or to make an extension payment the following spring. Form 3921 reports the basis information for incentive stock options. Form 3922 reports basic information for employee stock purchase plan shares. Restricted stock is not related to either of these forms. The amount shown on Form W-2 is included as part of the cost basis in the shares. This is reported on Schedule D and Form 8949 in the year that the taxpayer sells the underlying stock. If you see RSUs or restricted stock on Form W-2 next to a dollar amount, that dollar amount is already included as part of the employee's wages shown in Boxes 1, 3, and 5. Make sure this same amount is included in your cost basis records for that stock in your personal records. There is nothing else required in terms of preparing Form 1040. The box 1 wages are added to the wage income reported on line 7 of Form 1040. Do be aware of any withholding issues for the coming year. It is too late to fix any withholding issues for last year. For the next tax year, be alert. If an employee receives grants of restricted stock, they should consider an 83(b) election. When restricted stock vests, the employee should review their withholding to calculate how much additional tax they will need to pay through estimates or extension payments.